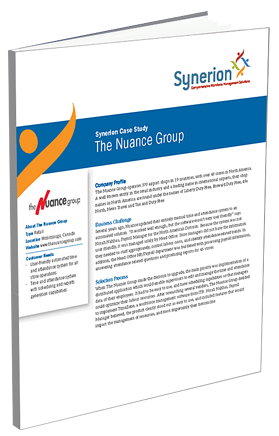 The Nuance Group is a well known entity in the retail industry and a leading name in international airports. Operating 370 airport shops in 19 countries, with over 40 stores in North America, they were beginning to have usability issues with their current automated time and attendance software. Find out how updating their systems not only reduced payroll issues but also returned more scheduling control to management.